May 2, 2018 – Ocean Grove, NJ – QSpot LGBT Community Center is proud to announce the 2018 QSpot Community Awards. QSpot Community Awards recognize extraordinary contributions to the LGBT community and QSpot. Award recipients this year are being recognized for their dedication, passion, and commitment, some at great sacrifice, to LGBT rights, justice, and care. Awards will be presented at the QSpot Community Awards Jubilee Dinner on Sat., June 2, 6 pm at the Riverview Waterfront Pavilion, Belmar, NJ. 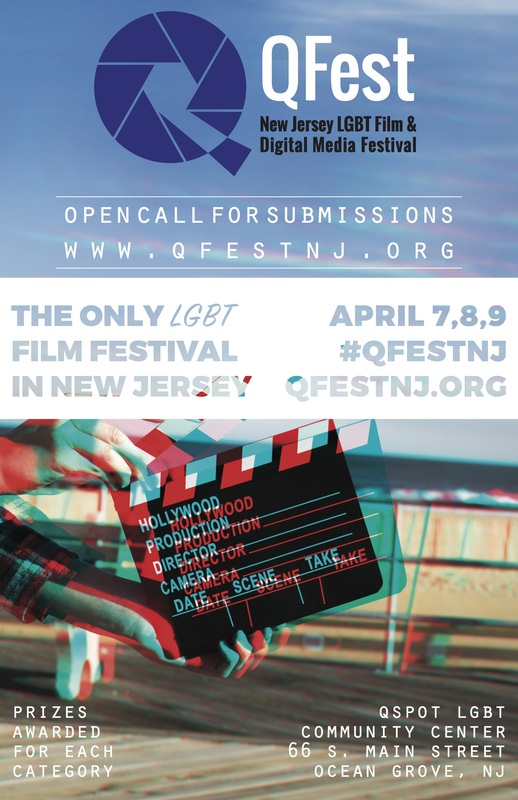 All proceeds from the event support the QSpot LGBT Community Center’s mission to foster the health, well-being and pride of New Jersey’s LGBT community. Recipients of the 2018 QSpot Community Awards (alphabetically): Rev. Dr. Anthony Campolo, Rev. Bruce Davidson, Lisa Davis, Derek Minno-Bloom, Jan Moore, Pamela Renee, Eileen Shrem, and Emily Sonnessa. Rev. Dr. Anthony Campolo – Nationally recognized evangelical pastor, speaker, author, sociologist, social activist, and founder of Red Letter Christians, Tony came out in support of LGBT people only to be disavowed by many in the evangelical community, including the Ocean Grove Camp Meeting Association. Tony Campolo is Professor of Sociology and Special Assistant to the President at Eastern University in St. Davids, Pennsylvania. He previously served for ten years on the faculty of the University of Pennsylvania. He is a graduate of Eastern College and earned a Ph.D. from Temple University. 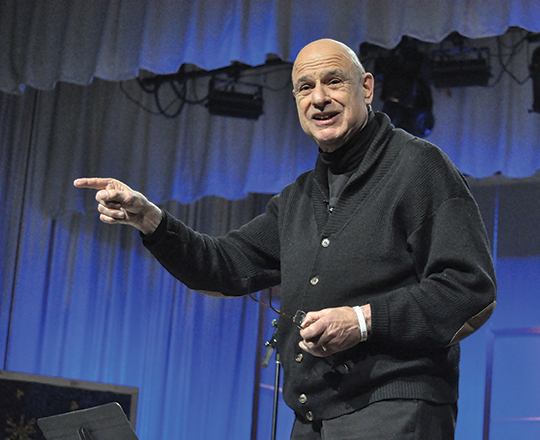 As founder and president of the Evangelical Association for the Promotion of Education (EAPE), Dr. Campolo has worked to create, nurture and support programs for “at-risk” children in cities across North America, and has helped establish schools and universities in several developing countries. Dr. Campolo is one of the founders of the Red Letter Christian movement and blogs regularly at its’ website, www.RedLetterChristians.org. Tony is also a media commentator on religious, social and political matters, having guested on television programs including The Colbert Report, Nightline, Crossfire, The Charlie Rose Show, CNN News and MSNBC News. He co-hosted his own television series, Hashing It Out, on the Odyssey Network and, presently hosts Across The Pond, a weekly program on the Premier Christian Radio Network in England. Dr. Campolo has authored of 39 books, with his latest release in October 2012, Red Letter Revolution (Thomas Nelson), with co-author Shane Claiborne. 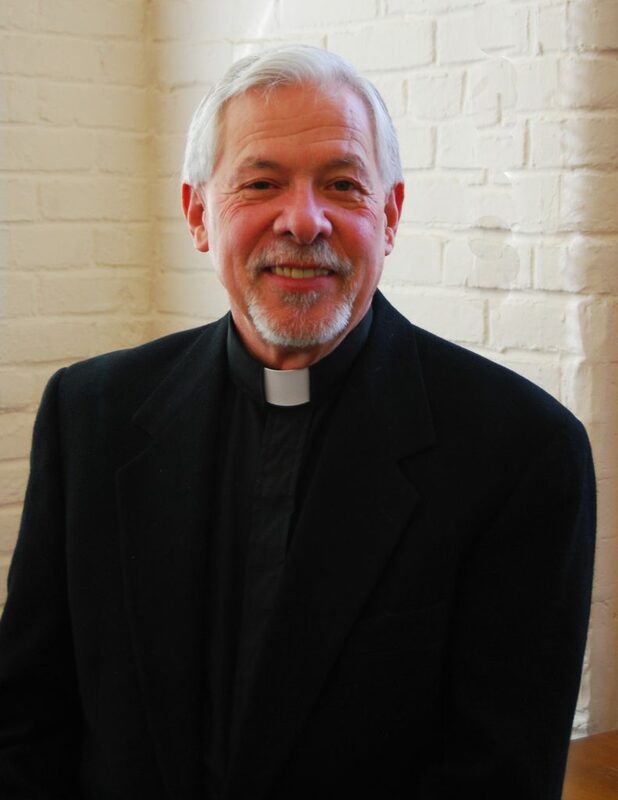 Dr. Campolo is an ordained minister, having served American Baptist Churches in New Jersey and Pennsylvania, and is presently recognized as an associate pastor of the Mount Carmel Baptist Church in West Philadelphia. He and his wife, Peggy, live in the Philadelphia area and have two children and four grandchildren. 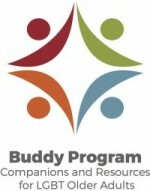 For more information on Dr. Campolo, see www.TonyCampolo.org. Rev. Bruce Davidson – Lutheran Pastor, retired Director of the Lutheran Office of Governmental Ministry in New Jersey, and former QSpot board chair, Bruce has been mentor, leader and supporter, along with husband Donald Barb, of some of New Jersey’s most influential advocacy and social service organizations. Lisa Davis – Former QSpot board member, facilitator of Hot Topics for Women, curator of QSpot Movie Night, and co-founder and former board member of Women’s Weekend NJ, Lisa is a tireless LGBT advocate, educator, and dedicated volunteer at QSpot. Lisa Davis was formerly a Board Trustee for Qspot. Currently, Lisa volunteers for Qspot as Creative Director and facilitator of Hot Topics 4 LBTQ Women. She was a foundering member of and is a volunteer for Women’s Weekend NJ. 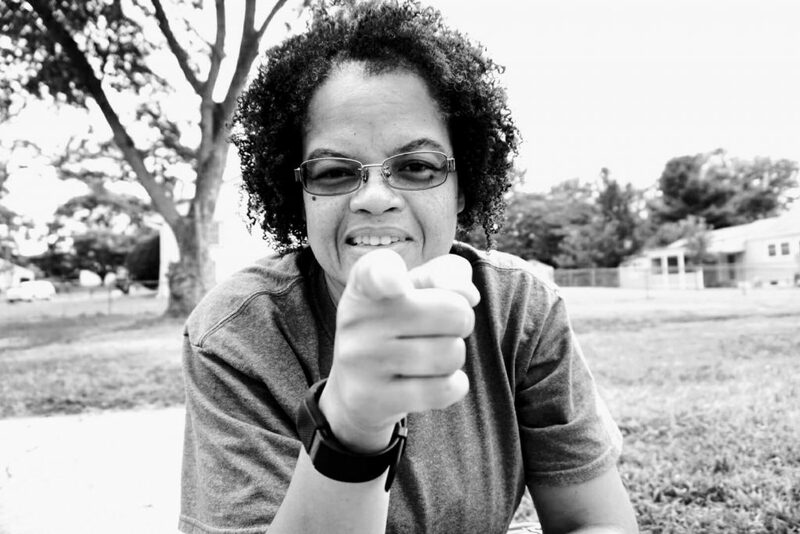 Lisa volunteered for the Lesbian Community Cancer Project (IL). Professionally, Lisa is a paralegal and holds a position as a Director of Contract Administration for one of the world’s largest real estate franchisers. Prior to that she worked for a well-known retailer and held various positions including National Operations Manager for Home Décor and Store Manger where she managed an $18M and $24M store. Credentials: BS Degree in Business Management – Kean University, NJ; AS Computer Science – Brookdale Community College, NJ; Paralegal Certificate – Fairleigh Dickenson University, NJ. Derek Minno-Bloom – Social and Food Justice Director at Trinity Episcopal Church, Asbury Park Education Justice Collective Member and Transformative Justice Project Director, Derek is a passionate social justice advocate, caring community leader, friend, partner and father. Derek is working as Trinity Church Asbury Park’s Food and Social Justice Director. Over the last ten years he has worked on food and housing justice issues with low-income people and people experiencing homelessness. Derek is compelled to help meet the immediate needs of hunger in Asbury Park and to organize at the community level to prevent hunger and injustice in the future. Derek self identifies as a white settler cisgendered male who lives on Sand Hill Nation Lenni Lenape territory known today as Asbury Park, New Jersey, and is part of a solidarity collective called Black Mesa Indigenous Support that works against settler and resource colonialism in joint struggle with the Dineh (Navajo) people who are resisting a forced relocation in northeastern Arizona. He also currently is part of the Asbury Park Transformative Justice Project, the Women’s Hospitality Network, the AP Affordable Housing Coalition, the Racial Justice Project at Trinity, The AP Education Justice Collective, Cooperate Asbury, and the AP Dialogue Group. 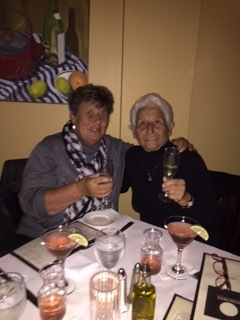 Jan Moore – LGBT community advocate, Ocean Grove United member, educator, volunteer, mother, grandmother, wife and friend, Jan’s life and relationship with Emily Sonnessa are featured in the award-winning film Love Wins. Jan and Em started their life together in 1969, in the northern NJ suburb of Rutherford, where they raised Jan’s three children, and kept their relationship mostly a secret. In 1997, they moved to Ocean Grove N J, and began a new chapter in their life together as a fully out couple. They soon became activists for Marriage Equality and LGBTQ rights, as engaged members of Garden State Equality, QSpot, and board members of Ocean Grove United. They legally married in 2014 on their 44th anniversary surrounded by family and friends. Their next chapter began when their friend Robin Kampf documented their journey in her short film “Love Wins.” The movie explores Jan and Em’s relationship – in an honest, sweet and often funny way – while facing the challenges of being a gay couple raising a family, during a time when it was taboo. The film has been screened and awarded at several festivals, and its popularity has opened many doors for them to continue to spread their message of love and equality. Now, at the ages of 81 and 88, Jan and Em are using “Love Wins” as an educational tool. They are showing the film at senior centers, to combat prejudice against the senior gay community, and at schools, to bridge the age gap with high school and college students. 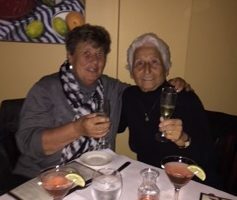 They continue to be an inspiration to the LGBTQ community, to those on the side of justice, and to their family, which includes grandchildren and great-grandchildren. On November, 20 they will celebrate their 49th anniversary – proving that indeed love does win. 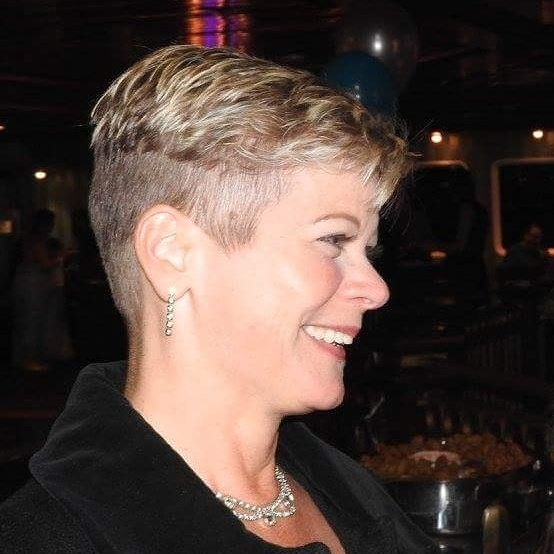 Pamela Renee – Neptune City Councilwoman, Monmouth County LGBTQ Democratic Caucus member, Trinity Church member, dedicated QSpot supporter, volunteer and friend. Pamela Renee is an active volunteer for Neptune City Community Response Team, Neptune City Neighborhood Watch, Block Co-Captain, Neptune City Knights of Columbus Ladies Auxiliary, Shark River Clean-up Coalition, American Littoral Society Horseshoe Crab Tagging Program, Neptune City Democrats Committee, Chairman, Monmouth County Democratics Black American Caucus, Vice Chairman, Monmouth County Democrats LGBTQ Caucus, Sergeant at Arms, Monmouth County Democrats Women’s Caucus, Trinity Church, Asbury Park, children’s Sunday School Teacher, Family Promise, Asbury Park, children’s activities, League of Women Voters. During the fight for marriage equality, Pamela was active with Garden State Equality, speaking at town hall meetings on behalf of the issue. Eileen Shrem – Women in business leader, long-standing QSpot supporter, mother and friend, Eileen’s limitless energy, humor and compassion inspire us all. Eileen Shrem is all about family and people. From a talented child star celebrity she grew up to be a caring and concerned insurance professional who is ” a friend indeed when there is a friend in need.” An independent insurance planner for over three decades, Eileen has been a very visible and vocal advocate for women business owners as well as for health insurance issues, small business, and the disabled. Her advice and leadership have affected the lives and businesses of thousands of women. Not your typical sales agent, Eileen considers herself an insurance planner building relationships and trust through product knowledge and dedication to quality service. She uses up-to-date technology to “shop” the best products and policies for her clients. Although not quite 5 feet, Eileen stands like a giant among her peers. She was a founding member of the first chapter of NJAWBO, Ocean/Monmouth, and was chapter president in the 1980’s, 1990’s and 2000’s. She was the State President from 1991-1993, State VP of Marketing in the late 90’s, and State VP of Administration twice. She has been the recipient of numerous awards and been on the list of NJ’s Top Movers & Shakers and 50 Best Women in Business in NJ. Eileen continues to be on the front lines in Trenton seeking more and better legislation so that everyone can afford health care coverage. She was appointed by Governors Whitman and McGreevey to represent the self-employed on the NJ Individual Health Coverage Program Board, and to sit on the NJ Gender Equity Advisory Committee of the State Board of Education. In addition, she has represented the business community as a member of the NJ Commission of Recreation for People with Disabilities since 1979. She is active in the NJ Association of Health Underwriters and is a member of their legislative team. 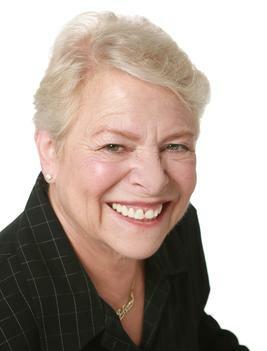 As a member of NJBIA, Eileen is involved on their Health Affairs Committee as well. Eileen Shrem dispels the adage that size matters and proves that good things do come in small packages. Emily Sonnessa – LGBT community advocate, Ocean Grove United member, educator, volunteer, mother, grandmother, wife and friend, Emily’s life and relationship with Jan Moore are featured in the award-winning film Love Wins.